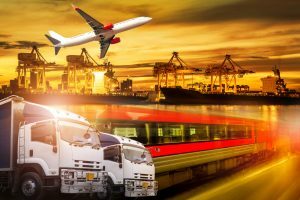 Home Advices Transportation and Logistics: Are They One and the Same? According to a U.S. News and World report, the top university for supply chain management and logistics in 2018 is Michigan State University. Detroit, Michigan or Motor City is the motor vehicle capital of the world. Michigan embodies this logistics and transportation debate. Many people use the terms transportation and logistics as if they are the same thing. But are they one and the same? Read on to learn if they are. The transportation and logistics industry help move goods around the world. In the United States, they connect the world’s biggest consumer market. Spending in the industry is a massive $1.4 trillion in the U.S. in 2016 which makes it 7.5% of U.S. GDP. Transportation is the movement of goods, livestock, and people from one place to another. This can be by road, rail, sea or air. Also, transportation can be by pipeline or cable. In these days of space technologies, we should also include transport in space. The transportation industry consists of three key areas. Infrastructure is the physical means by which transport takes place. It includes roads, rails, airports, buildings, and power supplies. The second area of transportation is the vehicles. Trucks, trains, planes, and ships are some examples of the vehicles used. Although experimental at this stage, drones are also transportation vehicles. The third area of transportation services is operations. Operations are the business, management, people, and IT systems. It is operations that govern the transport services and make them effective and efficient. Logistics covers the whole process from the source of raw materials to the end consumer and more. It includes the sourcing, processing, manufacturing, and distribution of goods. The logistics process can also include the return of goods up the supply chain. This can be for recycling as well as customer returns. The goods can be materials or products. In certain contexts, logistics can include the movement of people and information. Logistics includes the disciplines of planning and managing. It also includes quality control, human resource management, and finance. Information and other services are also part of the logistics process. A superficial study of transportation and logistics could conclude that they are the same thing. In fact, transportation is part of the wider logistics process. It is part of a proper definition of logistics. Transportation is that part of logistics that deals with the use of transport. Transportation providers use the road, rail, sea, and air to deliver the goods or people. They move the goods or people from location to location along the supply chain. Logistics includes the whole supply chain. This can include the processes of sourcing, producing and distributing goods. The planning and management of these processes are logistics. Planning alone is a massive undertaking in some supply chains. For example, in a retail context, the planning of movement and storage of goods is a key activity. Here it’s known as inventory management. Inventory management involves the forecasting of demand to assess stock requirements. Forecasting includes assessing seasonality, consumer behavior, marketing effectiveness, and demand curves. This discipline can need a high degree of statistical capability and computerization. Logistics includes the administration of goods movements. Importing and exporting involves compliance with regulations and paying duty. It also includes managing freight forwarders, insurance, containers, and documentation. Supply Chain Management includes moving goods without damages. This means it has to include packaging, storage, and managing damage claims. Collaboration with suppliers, customers and with other management functions are part of logistics. E-Commerce has made a significant difference to the world of transportation and logistics. The fulfillment of consumer orders requires some specialist transport services. Parcel delivery from the distribution center to the consumer’s door is transportation. This transportation sits within a wider logistics process. Purpose built fulfillment centers are the logistics solution for many e-commerce businesses. They exist within a web-sales, supply chain, and inventory management process. They meet the specific needs of e-commerce by organizing products to allow picking in the quantity required by the consumer. They package for delivery. The final stage is transportation to the consumer known as the final mile. It’s possible to anticipate some changes ahead for transportation and logistics. New technologies are already in trials. These will change both transportation and logistics in important ways. Driverless vehicles are being tested. We should expect that road transportation may consist of driverless convoys of trucks soon. They will be cheaper to run. Drones may fulfill many e-commerce orders. This will remove the need for the army of small delivery vans making many drops. Deliveries will be quicker and more economic. As 3D printing becomes more sophisticated we will print rather than order certain products. This means goods will not have to move. These changes tend to reduce the need for conventional transportation. Climate change may put more pressure on us to reduce carbon-hungry transportation and logistics. In many ways, it’s transportation that will have to adapt. Logistics services will have to step up to the plate to help manage this change. Logistics, with its wider brief, will have the task of delivering the change.